This week I worked very hard on making my Pinterest account more interesting or actually using it all. I am still a newby to this all, so if anyone has tips or suggestions those are always welcome. I am reading a book about Pinterest and I hope that when I finished that I understand a bit more about it. Also if you have a Pinterest account, please drop me the link so I can follow you. I don’t follow that much people on Pinterest yet and I think it’s fascinating to see how other people use Pinterest. Something else blog related that happened this week is that I decided to make Blogger Interview Saturday a monthly feature, so every first saturday of the month there will be a blogger interview! 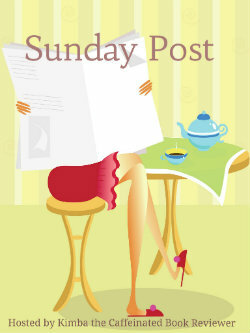 I’ll make sure to stop by your blog Tuesday to read your review! I can’t wait to read the next episode! I want to know what happens next. Nice haul. I will have to check out your review of Partials this week, I still haven’t read it yet. Enjoy. I own Partials for quite some time already, but never got around to reading it. I am going to buddy read it with a few people in a Goodreads group, should be fun :). I’m reviewing The Indigo Spell this week! Looks like you enjoyed it! I hope you enjoy the Indigo Spell as much as I did. It really was an awesome book. I can’t wait to read the next book in the series. I have a Pinterest account, but it could use some work. It’s mainly book covers. 🙂 Happy Reading! I mainly use my Pinterest account to pin the book covers of my posts, but I also made a board with awesome bookmarks and I have a few non-book related boards. Hey! Is that Delirium short story book an actual book or an ebook? Sorry I just realized i forgot to mention that. I updated the post. 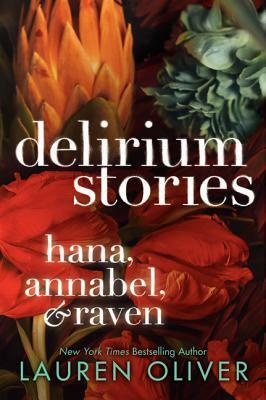 The delirium short story collection is a paperback and it’s cheaper than buying the 3 e-books seperately. 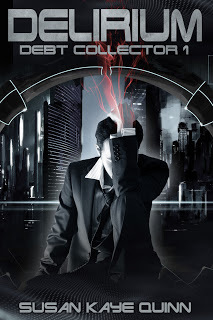 Delirium (Debt Collector #1) is an e-book.